The impact of the microwave oven on human grazing habits has been extreme. It can reheat frozen food or cook raw food in a fraction of the time required of a conventional oven and has brought the convenience of preparing food to new levels. Now, NXP Semiconductors NV and Wayv Technologies Ltd co-developed a portable microwave oven - The Adventurer, the world’s first portable Solid-State microwave oven offers those same capabilities to people who need to prepare food away from the kitchen. It puts the power of your kitchen wherever you go. It redefines the whole idea of mobile cooking. Designed to be compact, rugged, and light-weight, the Wayv Adventurer is intended to give people the flexibility to efficiently and conveniently heat food anytime and anywhere. It can serve a number of on-the-go cooking needs including heating nutritious meals quickly and easily, at the workplace, to support people affected by disasters or personnel at military bases and in the field. The Adventurer is ideal for preparing meals outdoors during leisure activities such as camping, hiking, or fishing. 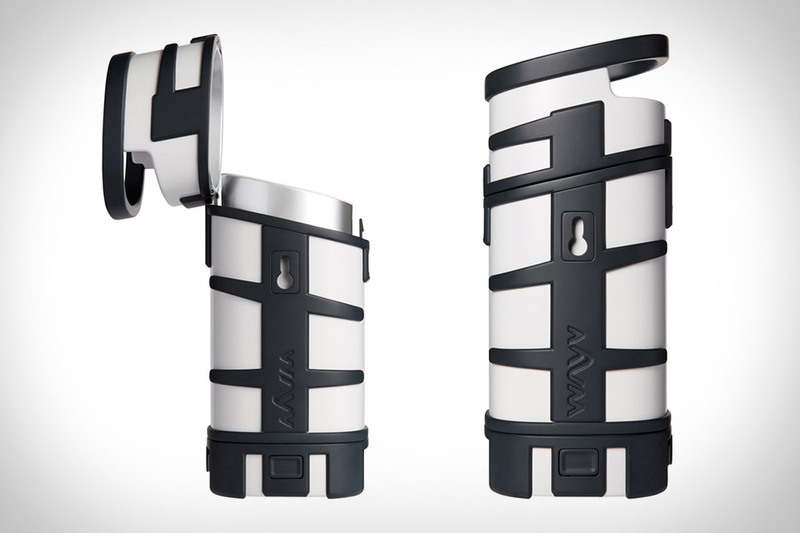 The Wayv Adventurer has a height of 305mm, a diameter of 128mm and a weight of 1.2kg and looks like a large flask. There is a container for food to be heated inside the oven, and the inner volume of the container is 900ml. It can heat 100-500ml of food. It can heat a cup of milk in 90 seconds, reports Techon.Nikkeibp. Unlike the vacuum tubes used in conventional microwave ovens, the Adventurer uses technology developed for RF amplifiers in cellphone towers - laterally diffused metal oxide semiconductors (LDMOS) transistors - to generate its 250 W of power. The rechargeable battery can run for up to 30 minutes per charge, the batteries can easily be swapped out on extended trips, and the whole thing weighs less than three pounds! Wayv claims the Adventurer can work with solar energy, too. It was exhibited at NXP FTF Technology Forum 2016, a private show that runs from May 16 to 19, 2016, in Austin, the US. The Wayv Adventurer will be released in the US in February 2017 at a price of US$199 and in other regions after that, a staffer said.